This stylish girl’s Ruler of this Room personalized printed canvas growth chart is bright, charming, and a great way to track a kid’s growth. 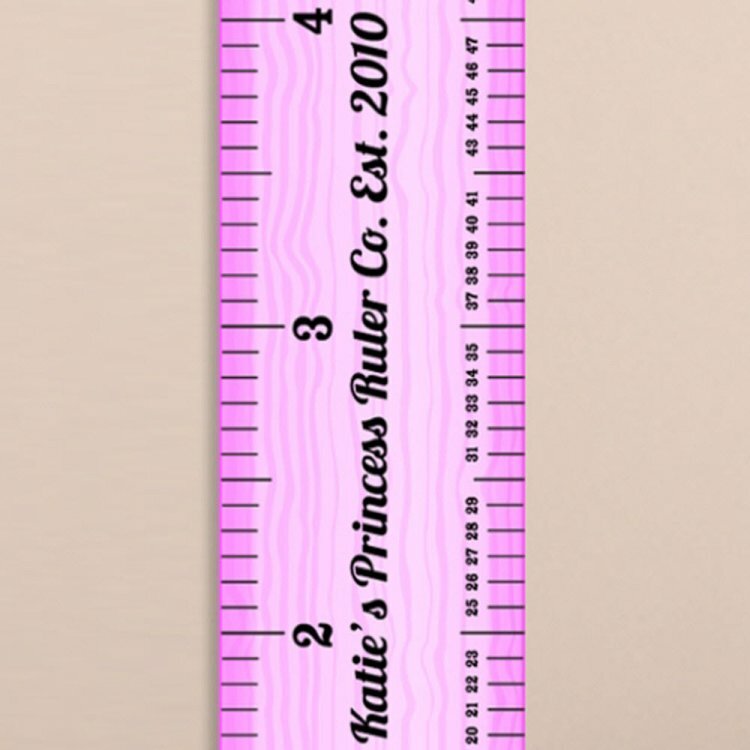 The bright pink school ruler height chart features a sweet princess crown and the words “Princess Ruler Co. Est. 2013” It comes ready to hang and tracks growth from 24 to 60 inches. Customize with a name up to 10 characters and the year of your choice.